We had an English speech contest on Ocotober 23rd. All our students talked about their themes. 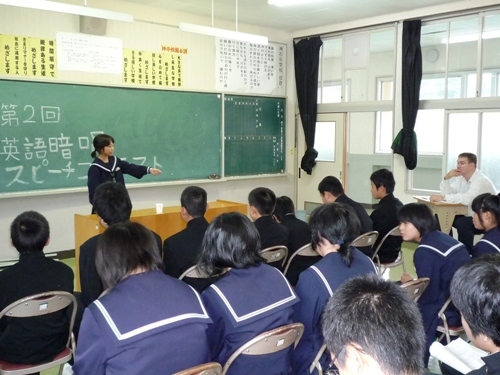 The winners of each grade will participate Jinsekikogen-town Junior High School Speech Contest on November the 19th. Good luck!